Julie Schuster only intended to host an Origami Owl® Jewelry Bar® in her home to help her friend, now mentor, Erin Roberts, achieve her goal of earning a trip to Walt Disney World Resort®. But by the time her party was over, she knew she had to become a Designer, too. “I had so much fun and thought ‘I could totally do this,’” says Julie of Port Isabel, Texas. Julie had just moved back to her small hometown, which is just outside of San Padre Island, and was enjoying reconnecting with long lost friends through get-together gatherings and even on Facebook. “Home” was starting to feel like home again. 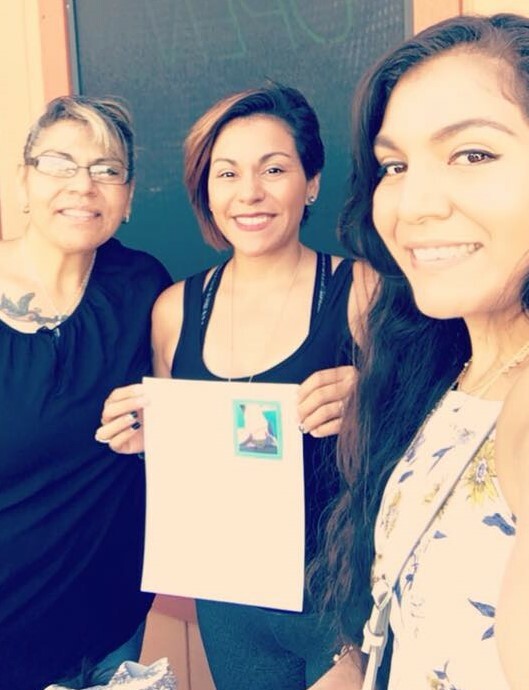 One day, as she scrolled through her newsfeed, she noticed her friend, Tiffany Garza, who also decided to become a Designer, posted a GoFundMe page dedicated to their mutual high school friend’s 3-year-old daughter, Mia Valdez. 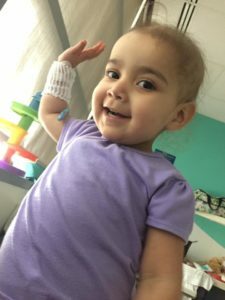 “I had no idea (our friend Liana’s daughter) Mia had been diagnosed with a sacrococcygeal tumor, a malignant growth at the bottom of Mia’s spine, the year before,” says Julie. Liana was a single mom of two and Mia’s medical specialists were six hours away in Houston, Texas. Though Liana was able to stay with family members in the area, she struggled to pay for the gas and medical bills that the hospital would not cover. Liana, who was working as a speech therapist assistant, had resigned her position at work so that she could spend all the time she could with Mia until she recovered. Mia has relapsed twice since last year. Julie’s heart went out to them. The 3-year-old little girl’s picture tugged at Julie’s heartstrings and she knew she had to do more to help. Seeing the obstacles Liana had to overcome to care for her daughter made her think back to when she was young and wanted nothing more than to help her siblings. At times, her families home didn’t have running hot water, and they never had new clothes for school. As soon as she turned 15, Julie began working to help provide those things for her younger siblings. Ever since, she’s felt strongly about giving back, especially to kids in need. She decided a small fundraiser in her living room might be one way to do it. 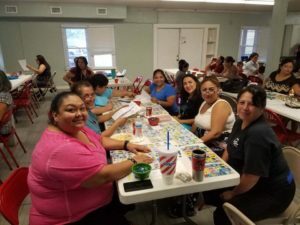 Together, she and Tiffany put together a few Living Locket® looks to use as prizes, and organized a game night featuring the Mexican-equivalent of Bingo, “La Lotería,” as the game of choice. They invited five people each and set the ball in motion. 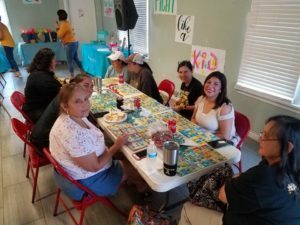 However, after mentioning their fundraiser at an Origami Owl team meeting, other Designers said they wanted to contribute prizes to encourage more people to participate in the fundraiser. Now, the pair had 20 prizes and their Facebook event ballooned to more than 30 people as people saw the jewelry and began inviting more people to attend. “I looked at Tiffany and was like, ‘I can’t fit (30 people) in my living room, can you?’” laughs Julie. So, they approached the Port Isabel Fire Hall, who graciously donated the use of their 80-person banquet room for free. With 50 more spots available, Julie and Tiffany got to work passing out flyers at local businesses to see if they could find more Lotería participants. By the end of the day, they had more than 80 RSVPs on their Facebook event and offers from people in the area to cover the cost of food at the fundraiser. A few days before the event, the local press called Julie to ask for information about the event because they wanted to run the story in the local newspaper. Julie says she was proud to share Origami Owl and its mission of being a Force For Good® and details of what the community could expect. Then, just a day before the event, her phone started blowing up with text messages letting her know that the story had made the front page. Thanks to that extra spotlight, Julie says the day of the event was filled with members of the community just dropping by to donate money to Mia’s family. Everyone enjoyed playing the game together, eating snacks, and even Facetiming Mia to show her all the people who had come together to support her and her family. Together, the group yelled “Mia Strong” as a united chant for the little girl. As the event wrapped up with more than $1,400 raised for little Mia’s medical expenses, Julie, who is normally outgoing and confident, found herself standing at the microphone in complete awe. 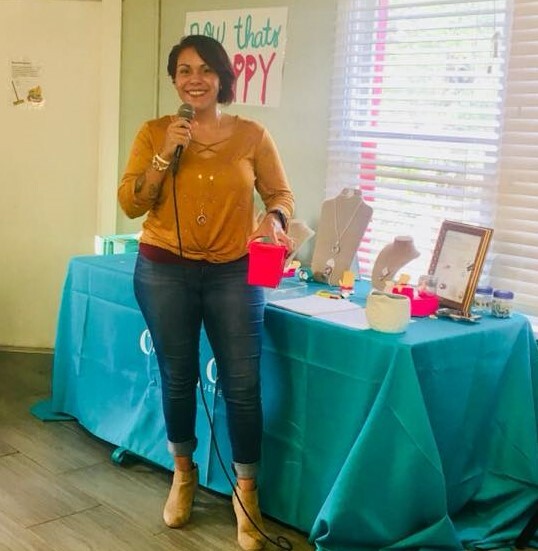 She’s grateful for the love and support she’s also found in the Origami Owl community, especially those designers the helped that day of the event, including Tiffany Garza, Esther Ochoa, Rebecca Rodriguez and all of Team Wise Owls.